ABQ Press, $16.95, 295 pp. 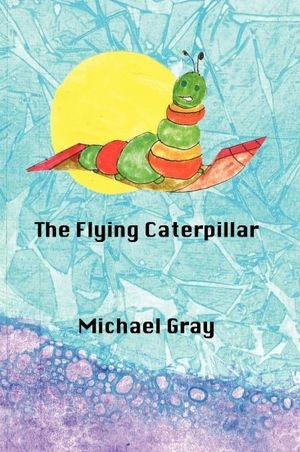 Albuquerque author Michael Gray refers to his book “The Flying Caterpillar” as a memoir, but it is as much a telling of a personal quest and a spiritual journey. “I’m looking for a way to relate to the future, like a light going through an open window, because I’ve had my problems with being confined by the known past, the familiar,” Gray said. That doorway opened for him back in the 1980s, when he read the writings of Tibetan Lama Tarthang Tulku. Through the Nyingma Lineage of Tibetan Buddhism, Gray said he became more grounded — i.e. less distressed, less fearful, more open to the possibilities of the mind. After a six-month retreat he attended at the Nyingma Institute, a metaphorical door opened. Gray co-founded Friends in Time, a still-vibrant Albuquerque organization. For 20 years the organization has been working with neuromuscular diseases such as multiple sclerosis and amyotrophic lateral sclerosis. One of its aims is to improve the clients’ quality of life. “We visit people who are often very isolated and find out what … services they need, help provide recreational events,” said Gray. He is a care team coordinator with Friends in Time, now under Adelante Development Center Inc. Writing the memoir was the result of another door opening. A few years ago Gray attended a weekend writing workshop led by Lisa Lenard-Cook of Corrales. He came to the workshop with his “scattered thoughts. Between the first and second days of the workshop I had started to write something,” the Canadian-born Gray said. Lenard-Cook, he said, motivated him to organize those thoughts and to jump-start his writing the memoir. After that push, Gray had a different person who stepped in as his muse for the memoir, Marijon Garcia. The just-completed novel has been in the making for 20 years. It opens with this scenario: A comet larger than Rhode Island is careening toward Earth at 30 miles a second. It is set to impact in 90 days and, if it follows its course, will certainly change life on the planet as Earthlings have known it. ABQ Press published both of his books. Michael Gray discusses, reads from and signs “The Flying Caterpillar” and “Asleep at the Wheel of Time” at 2 p.m. Saturday, Aug. 18, at Page One, 11018 Montgomery NE, and reads from “Asleep at the Wheel of Time” from 1-3 p.m. Sept. 1 at Treasure House Books & Gifts, 2012 S. Plaza NW, Old Town.